AV is moving into the Digital world and now blends into the computer control area. However the big difference is the interest area of the communications. 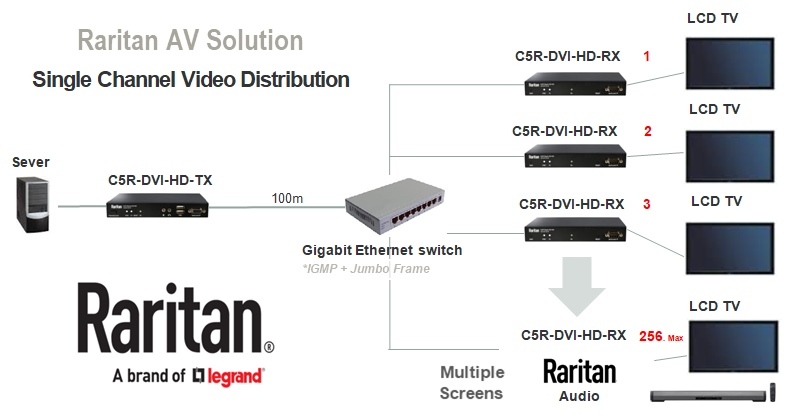 This AV Choice Section brings you an easier navigation to the parts that we feel are particularly interesting for the AV sector concentrating on the highest quality VIDEO and AUDIO signals for distribution, conversion matrix control and more. With the latest broadcast equipment fantastic setups can be achieved with the minimum of disturbance to your site premises and remote IP technology. The latest Generation of DVI HD KVM Extenders over Cat5. A total 'AV' Solution.